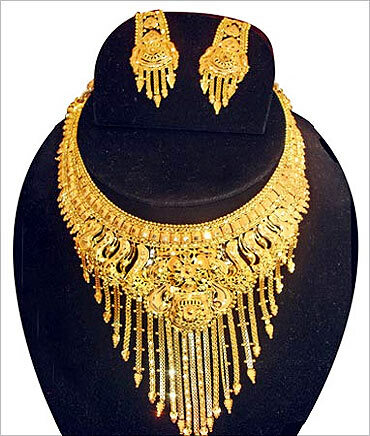 Gold is considered as a sign of prosperity in India. This yellow metal is an important part of any occasion among the Indian families. According to an estimate, 20,000 tonnes of gold is held by Indian households, a majority of which is meant for long-term consumption. Gold, among all asset classes, has remained a time-tested hedge against inflation. 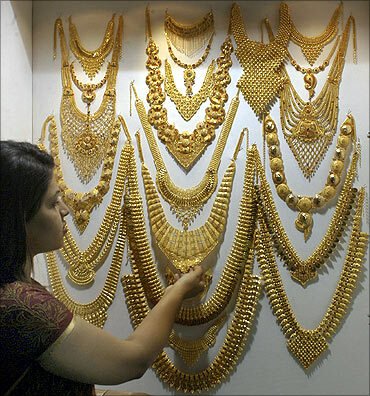 Of the total world demand for gold, jewellery component is 39 per cent. 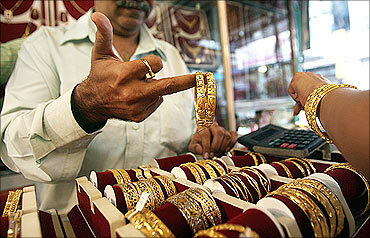 With the festival season opening up the demand for gold in India is likely to shoot up in spite of the high prices. Click on NEXT to read more . . . The World Gold Council (WGC) expects demand for gold to remain strong during 2010, in their report for the month of August 2010. 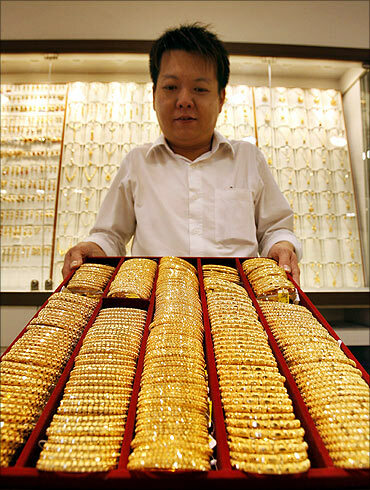 India and China will continue to provide the main thrust of demand growth, particularly for gold jewellery, according to the report. "Economic uncertainties and the ongoing search for less volatile and more diversified investments such as gold are likely to underpin demand for investment gold in the immediate future. In particular, European retail investors appear to be making an increasingly important contribution to investment demand, with lingering concerns over public debt levels and the Euro helping to drive demand," it adds. The investment demand for gold is inversely related to the health of the financial market. The crisis in the US and EU in 2008 had created a fear psychosis which compelled many investors to seek refuge in gold and this paid off. According to fund managers and financial planners, gold ETFs (exchange-traded funds) are turning out to be a top pick for investors with long-term plans. Gold ETFs are open-ended mutual fund schemes that will invest the money collected from investors in standard gold bullion (0.995 purity). The investor's holding will be denoted in units, which will be listed on a stock exchange. These are passively managed funds and are designed to provide returns that would closely track the returns from physical gold in the spot market. Currently, there are nine gold ETFs traded on the BSE. They are Gold Benchmark ETF, HDFC Gold ETF, ICICI Gold ETF, Kotak Gold ETF, Quantum Gold Fund, Reliance Gold ETF, Religare Gold ETF, SBI Gold ETF, UTI Gold ETF. An investor can buy and redeem the units either directly from the mutual fund, subject to certain stipulations, or from the stock exchange. As per data from Association of Mutual Funds in India, the net inflows into gold funds in 2009-10 touched Rs 804 crore (Rs 8.04 billion). The World Gold Council has estimated that investment demand jumped 25 per cent for bars and 414 per cent for ETF in the second quarter of the current year. The EFT holdings now amount to around $100 billion. Investing in gold ETFs will give the investor all the advantages of investing in gold while eliminating drawbacks of physical gold -- cost of storage, liquidity and purity, among others. Benchmark Mutual Fund launched India's first gold Exchange-Traded Fund on 15 February 2007 and it was followed by UTI Mutual Fund's gold scheme on 1 March 2007. Gold ETFs are listed National Stock Exchange and Bombay Stock Exchange and most of them have a share size of 1 gram. This makes it easier for the retail investor to participate. On the secondary market, the minimum lot is one unit. 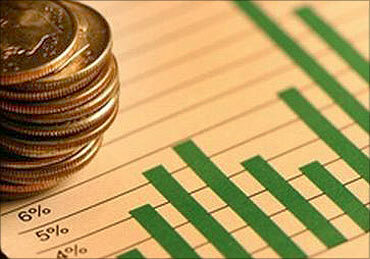 This enables the investor to accumulate units over time and reap the benefits of rupee cost averaging. The units can be redeemed either from the fund directly or from the market. 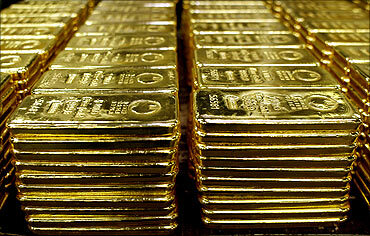 Further, investing in paper gold gives investors tax advantages over investing in physical gold. Also, gold held in paper form is not liable for wealth tax. 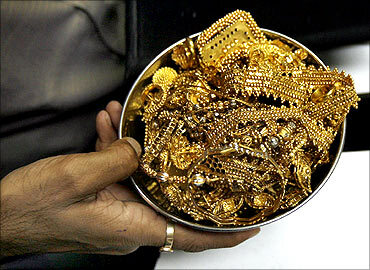 According to analysts, India's gold ETF collection is small compared to its annual gold consumption, but is seen growing by at least 50 per cent year-on-year. How to invest in gold ETFs? A gold ETF is a financial instrument like a mutual fund whose value depends on the price of gold. As the price of gold rises, the price of the ETF is also expected to rise by the same amount. Similarly, a fall in the price of gold will also be reflected by a drop in the price of the ETF. However, unlike a mutual fund, the units of a gold ETF have to be purchased or sold on the stock market. To do so, one needs to have a demat account and a brokerage account with an online brokerage, or you may purchase it through your local stock broker. Experts recommend to invest in gold through ETFs as it does not have a holding cost and purity cost. Small investors are advised to invest in gold through systematic investment plan route in gold ETFs listed on equity exchanges. Gold ETFs are more tax efficient. Physical gold attracts short-term capital gains tax (profit added to income) if you sell it within three years of purchase. In case of ETF, units sold after a year are liable for long-term capital gain tax. Gold ETFs have the advantages such as lack of making charges, impurity risk, resale hassles, absence of wealth tax and long-term capital gains tax. According to financial experts, investors can invest a small part of their portfolio in this fund for the purpose of diversification and hedging. Who are the biggest tax evaders in India?